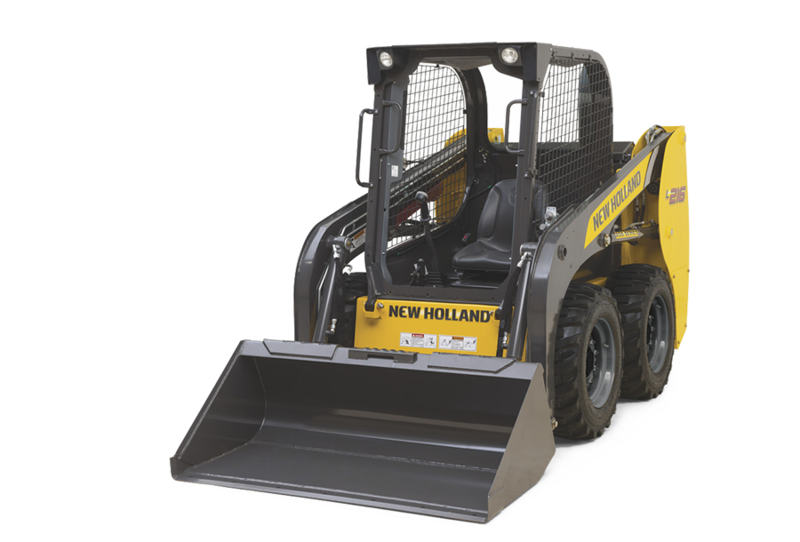 The New Holland 200 Series range of skid steer loaders & compact track loaders deliver superior performance in a compact package. 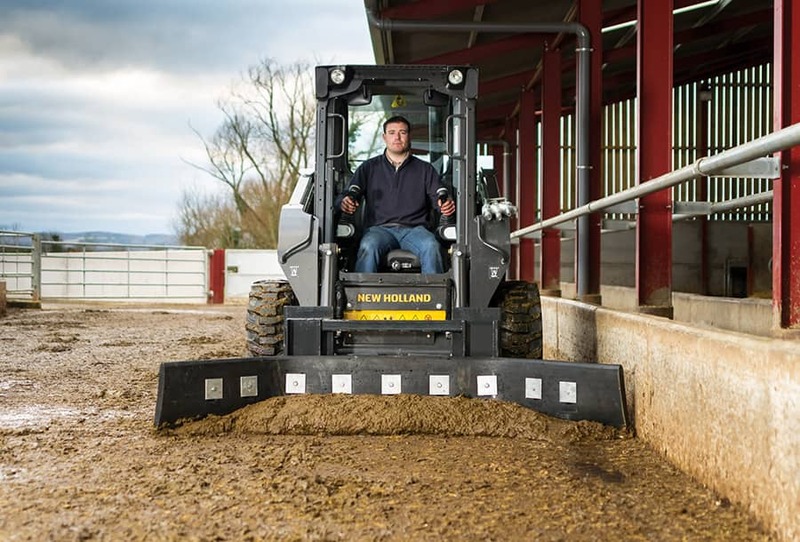 The range consists of five skid steer loader models, with operating weights from 2300kg up to 3600kg, and one compact track loader with an operating weight of 3700kg, and lift heights from 2.85m to 3.3m. You will race through your tasks in the tightest spaces thanks to their compact size, exceptional all round visibility and maneuverability, and without compromising comfort or safety. The compact dimensions of under 2m height and just over 1.5m width on the smallest model, ensure access through the narrowest gates and passageways. On Super Boom models the superior lift height and forward reach allows for efficient and easy filling and loading, allowing the load to be dropped into the center of the trailer or feed wagon. Your productivity will soar with the fast cycle times resulting from the perfect balance, excellent stability and powerful hydraulic system. Offering class leading space, comfort and ergonomics, the Comfort Deluxe Cab also affords excellent all round visibility and reduced blind spots. The vertical lift geometry of the Super Boom system enables operators to load material far beyond the reach and height of most other skid steer loader designs. 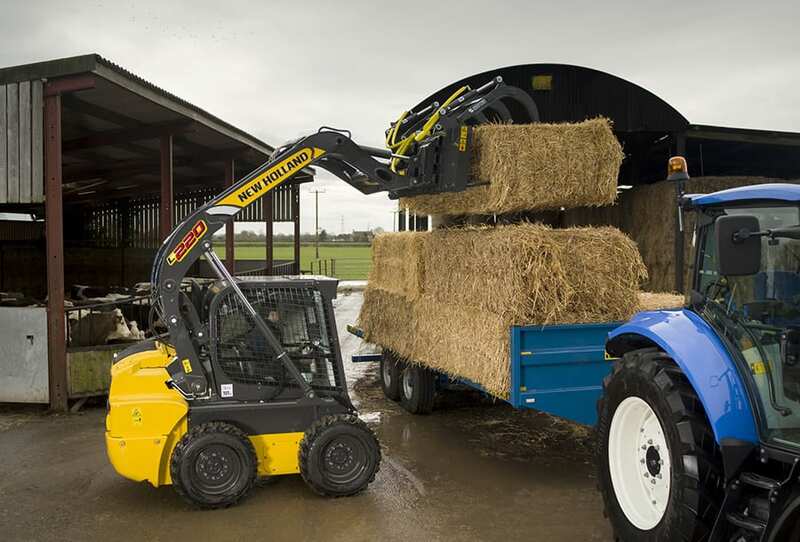 The exceptional forward reach afforded by this design makes loading bales and reaching over feed barriers an effortless task. L213, L215 and C227 models, offered exclusively with the radial-lift boom, are ideal for digging and pushing. 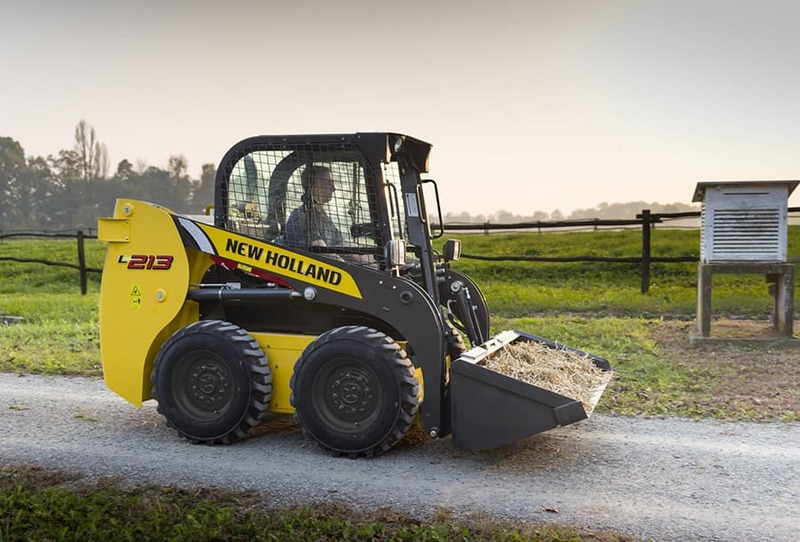 Productivity in applications such as manure handling, soil moving and yard scraping is boosted by their outstanding breakout force and the geometry of the arm. The Comfort Deluxe Cab design offers best-in-class comfort, with plenty of head and leg room, in addition, the low noise levels will be appreciated by people or livestock within the working range of the machine. A choice of control layouts are available, either mechanical or electro hydraulic joystick control can be specified. 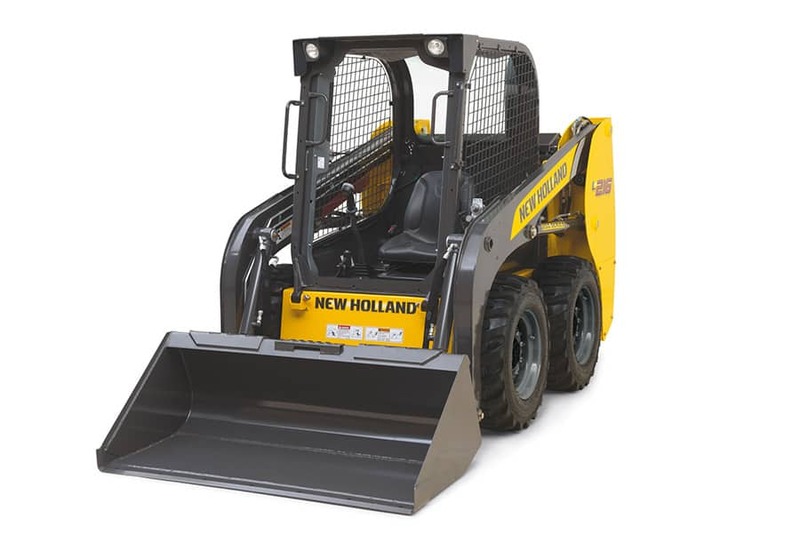 Maintenance and servicing on 200 Series skid steer loaders and compact track loaders couldn’t be easier, access for engine and hydraulic oil changes is via a removable cover on the left rear quarter. The ground level daily service points are grouped together at the rear for convenience. The standard flow package is included on every machine (standard feature) and is able to handle most common hydraulic attachments. 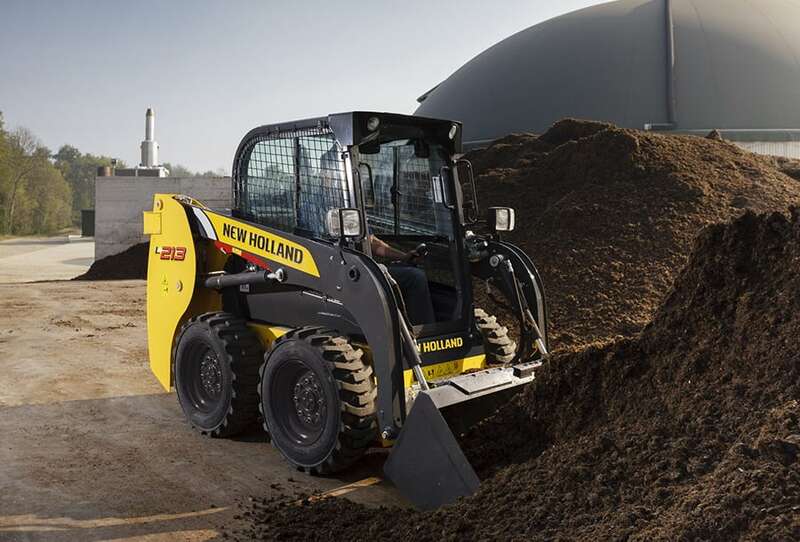 The high flow package, with up to 55% more flow, is available to manage certain attachments that require more hydraulic power to work properly such as mulchers, cold planers, excavator and compactor wheels. 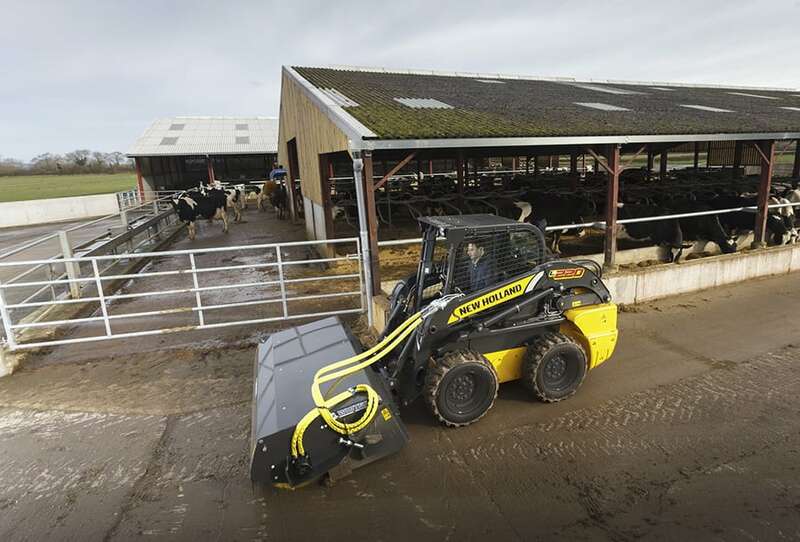 The attachments are easy and fast to change with the standard Connect Under Pressure feature. Pressure is automatically released when the auxiliary line is disconnected. No wrenches are needed.